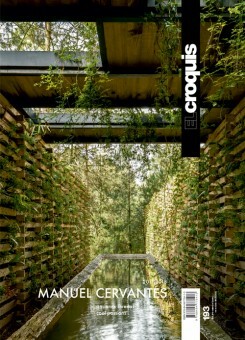 This issue delves into the background and work of Manuel Cervantes Céspedes and his architecture and urbanism firm, CC Arquitectos. Featuring detailed profiles of twenty designs by this Mexican architect, it also includes a conversation with the architect and Fernanda Canales, along with essays by Juhani Pallasmaa and Edward R. Burian. Among the various works presented are several houses, as well as projects ranging from transport interchanges and equestrian centres to rural housing prototypes and pavilions. Madrid, 2018, 25x34cm, illustrated, 280pp. Paperback.